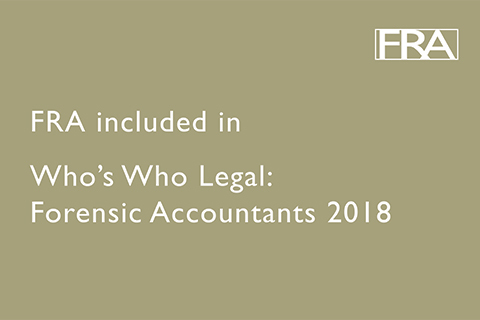 Five of FRA’s leadership, Frances McLeod, Toby Duthie, Greg Mason, Derek Patterson and Weng Yee Ng, have been included in Who’s Who Legal Investigations: Forensic Accountants 2018. The “fantastic” Greg Mason is “highly recommended by commentators who admire his leading international investigations practice. Read all about FRA’s leadership in WWL.